The final home on our tour of log homes was Matt and Melissa’s. Their home was actually completed a couple of years ago, but they enjoy having visitors and sharing log home stories with others. That’s why they choose to participate in Honest Abe’s Annual Tour of Homes each year. This beautiful D-log style home is a custom floor plan that is tucked away with great views of the surrounding hills. 1. The big, open floorplan and the big, open windows. 2. The bi-level flooring in the bathrooms, that “hides” the plumbing. 3. 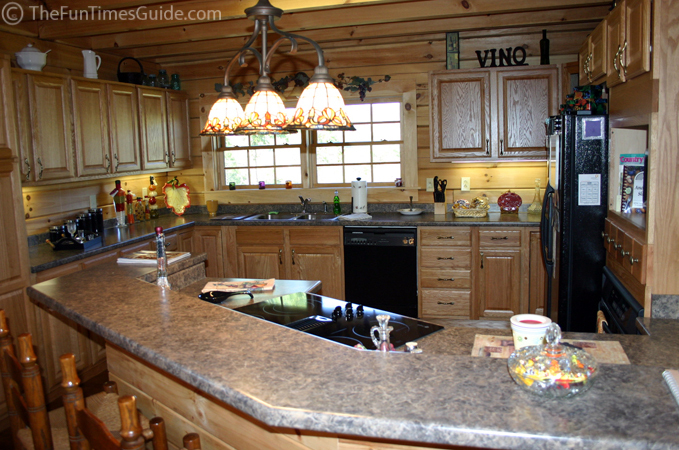 The wide open kitchen and curved island with the stove in the center. 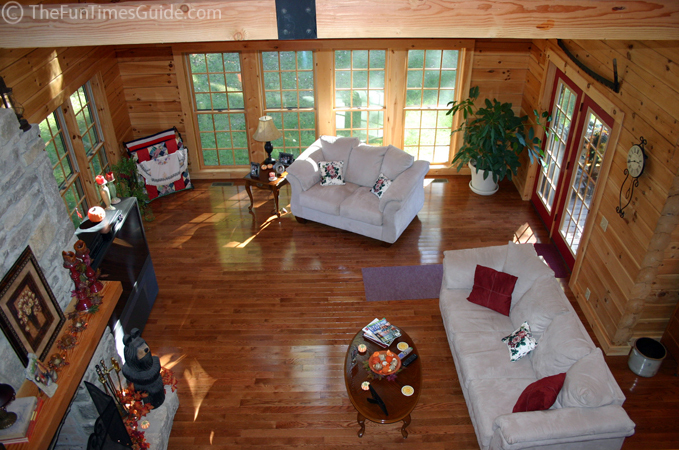 …Thanks Matt and Melissa for allowing us inside your log home!